THE VILLA DOES NOT HAVE WIFI. The bungalow in Moraira has 3 bedrooms and has capacity for 5 people. The bungalow is comfortable, has an exterior, and is 80 m². It has views of the garden. The property is located 150 m from Moraira sand beach, 150 m from Moraira rock beach, 300 m from Moraira city, 500 m from Moraira supermarket, 3 km from Club de Golf Ifach, Calle Micheta, 5, Ctra Moraira a Calpe, Km, 3. Urb. San Jaime, 03720 Benissa golf course, 92 km from Aeropuerto Alicante-Altet, 03195, Alicante airport. The house is situated in a family-friendly neighborhood next to the sea. The accommodation is equipped with the following items: garden, garden furniture, 30 m² terrace, barbecue, balcony, electric heating, 2 fans, 1 TV, tv satellite (Languages: Spanish, English, German, Dutch, French), DVD. Moraira is a quiet Spanish village on the Costa Blanca near Calpe and at about 75 km from the airport of Alicante and 110 km from Valencia. Moraira is situated near the coast and has two beautiful sandy beaches (L´Ampolla and Playa del Portet) and 8 km of rocky coast and bays. 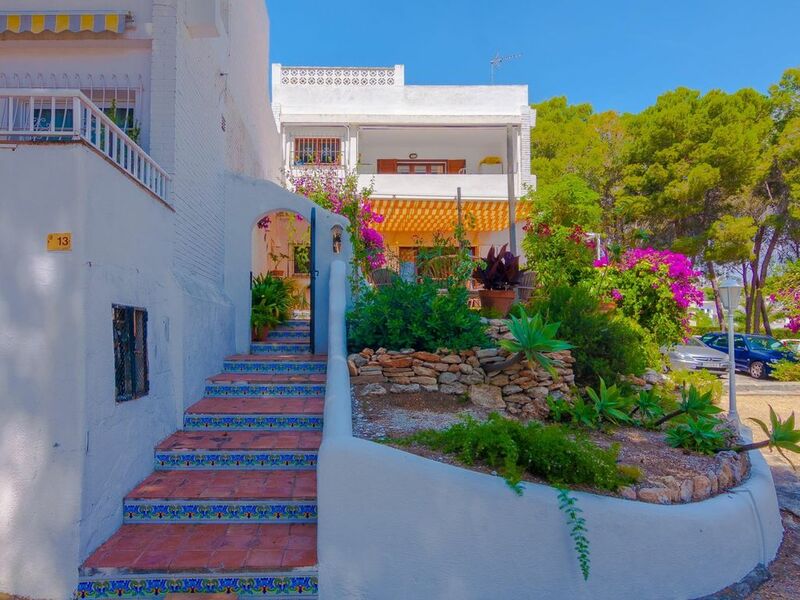 Moraira offers a variety of residential areas where you can find luxury holiday rental villas, houses, homes and holiday rental apartments. There are several amusement parks not far from Moraira, like Terra Mtica, the first real theme park in Spain. This amusement park is divided into five areas, five lost civilisations of the Medieval en the main rides take you back to the myths and legends of these ancient cultures. Aqualandia on the other hand is a huge water park where children of all ages can spend an incredible day in many swimming pools with springboards, rapids, waterfalls and slides. To visit beautiful exotic en marine animals and several shows and other attractions you can visit Safari Park Vergel or animal park Mundomar.